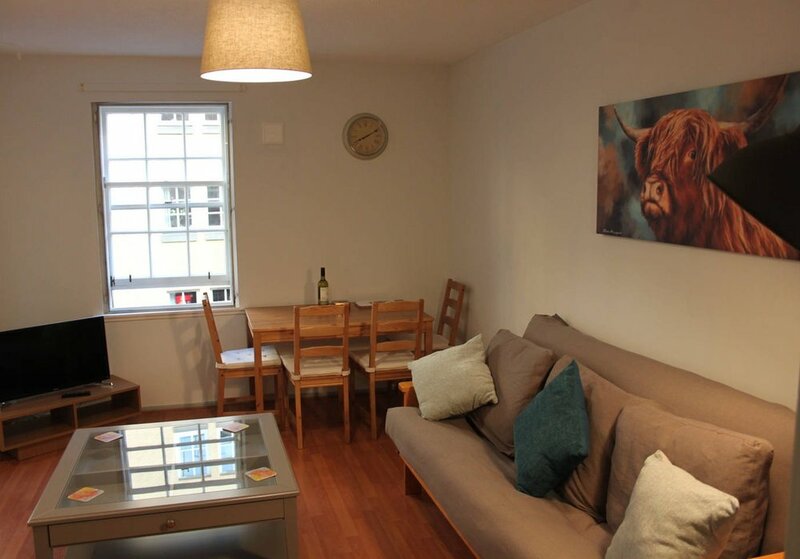 The Wee Highland Coo is a cosy apartment located in the historic Grassmarket area of Edinburghs Old Town. 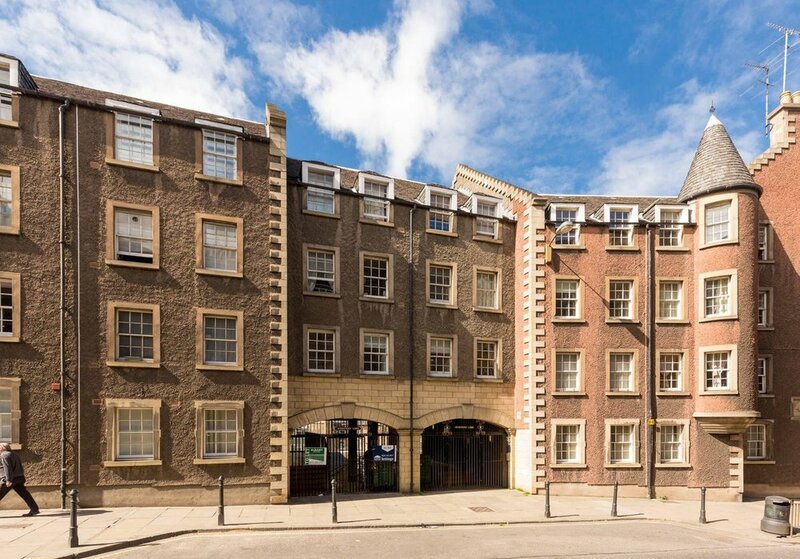 The private and quiet courtyard complex, which has a stunning view of the Castle, is the perfect base from which to explore what Edinburgh has to offer. All the main attractions, a wide selection of great bars, restaurants and cafes are all on your doorstep and only a short walk away. The accommodation has recently been renovated to create a modern fresh apartment. The living area has a comfortable sofa bed, table, chairs, a HD Smart TV and free secure wifi. 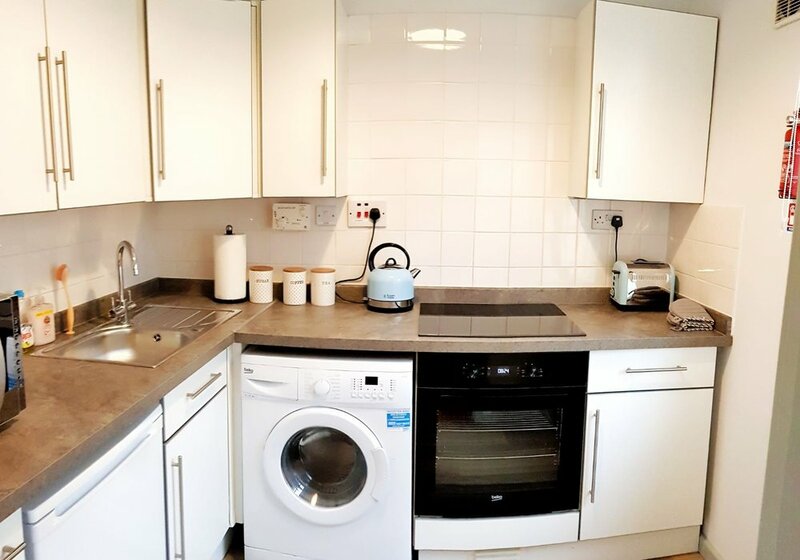 The kitchen is well equipped with oven, hob and microwave. There is also a washing machine with drying facilities. 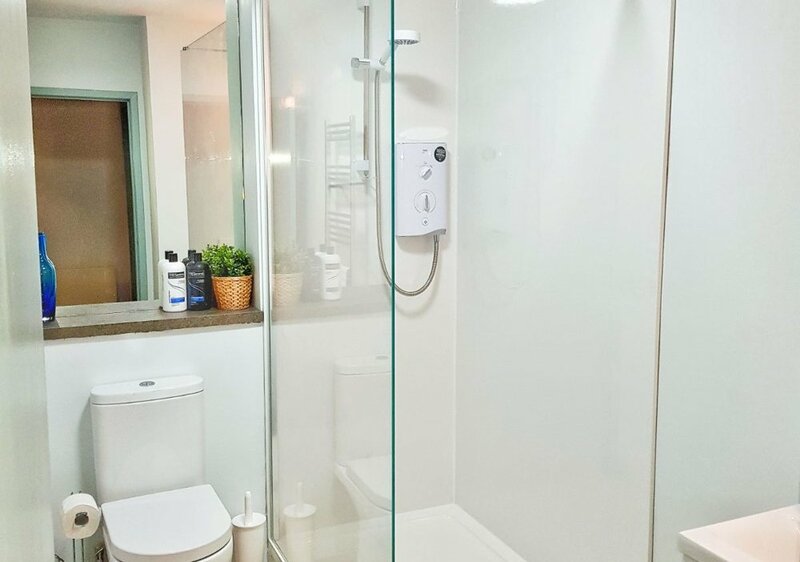 A newly refurbished bathroom with a power shower completes the accommodation. The courtyard has a small garden where you can sit and enjoy the spectacular views of Edinburgh Castle. There is a local supermarket a short walk (about 100m) up the road. A selection of breakfast/lunch cafes across the road provides excellent food. Prices from £79 - £225 (Nightly). Air- There is a new tram service that takes 35 mins from Edinburgh Airport to the city centre. From there it is an easy 10 minute walk to the apartment. The Airlink 100 Bus travels along the same route but may take slightly longer dependent on traffic. Train- Edinburgh's Waverley Station is a 10 minute walk from the apartment or a short taxi journey. Taxis can be found outside the station on Market Street and cost around £5-7. Car- Easy to access by car however as the apartment is central, on street parking is expensive (£3 an hour for a max of 4 hours). If driving I would recommend using an out of town park and rides. Castle Terrace long stay car park is a 5 minute walk but will cost you £27.50 a day. The Wee Highland Coo is situated in the Grassmarket which is in the Old Town. 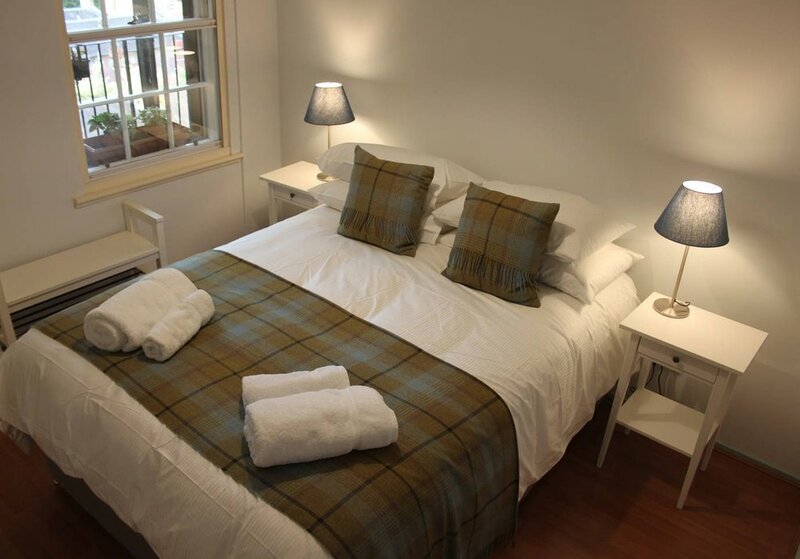 The Grassmarket is an extremely popular destination for tourists as it directly next to the castle and has a variety of restaurants and bars to suit all tastes and ages. From the apartment all the major attractions are within easy walking distance. The private courtyard provides a tranquil base to return to at the end of a busy day.